This buoy is funded by the Lake Erie Energy Development Corporation (LEEDCo). LEEDCo and LimnoTech are studying the site of the proposed offshore wind energy project offshore of Cleveland, OH. 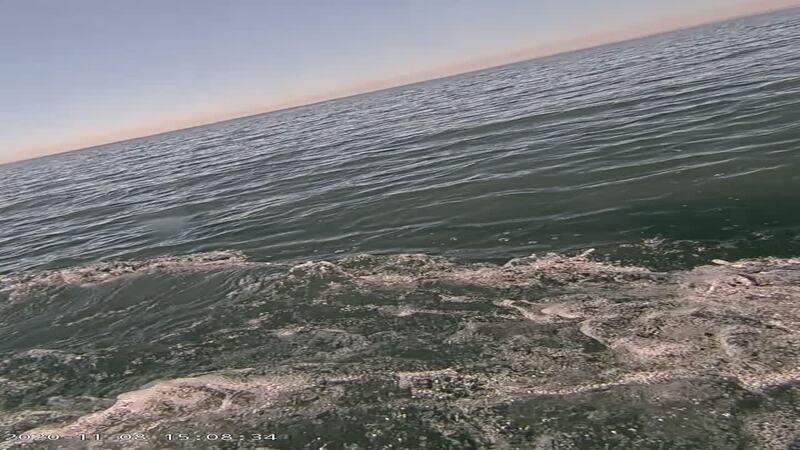 This buoy is located approximately 5 miles northwest of the Cleveland water intake crib in 57 ft of water. Measurements in red indicate failed validity tests. Measurements in orange indicate questionable validity tests. Click on the graph icon, in the table below, to see a time series plot of the last five days of that observation. Click on the page icon to view datasheet of sensor. Text the Station ID (45169) to (734)-418-7299 to receive the latest observation on the go.